It was a warm August afternoon when Victoria Zarate left New Mexico State University’s first tailgate of the year to meet her boyfriend in El Paso, Texas. She had been drinking since 11 a.m. and was in no condition to drive. She did anyway. She weaved in and out of traffic as she sped down the highway. When Zarate reached El Paso, she stopped at a bar with her friend to get a couple drinks. On the verge of blacking out, she got back on the highway to meet her boyfriend. Two minutes later, she was pulled over. Two officers approached Zarate’s car and asked her to step out of the vehicle. “I was so scared that I was going to get arrested. I started crying as soon as I got out of the car,” Zarate said. The officers then asked where she had come from and why she was driving. One officer began rubbing her back and telling her that she would be fine and wasn’t getting arrested. They let her call a nearby friend who came to pick her up. “I think if I would have been a guy, they would have arrested me for sure,” Zarate said. In 2015 men accounted for 72 percent of the 9,568 total DWI arrests in New Mexico, according to the New Mexico Department of Transportation. 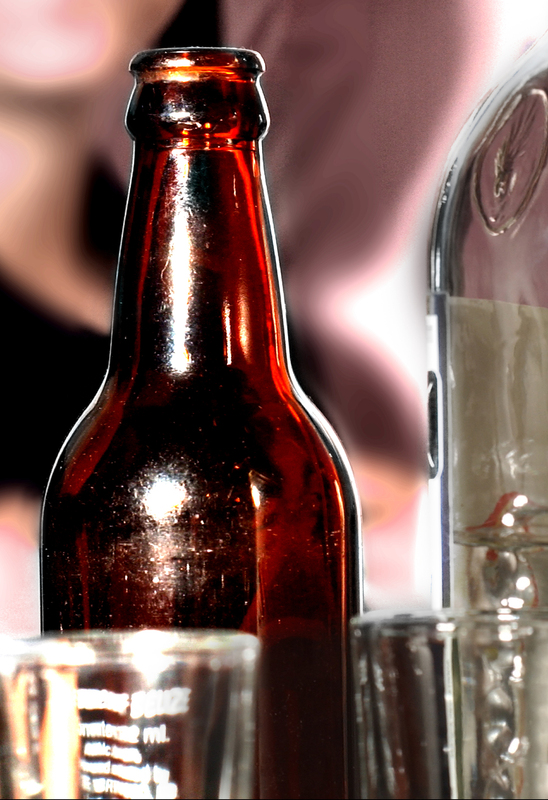 According to Lt. Kiri Daines of the Las Cruces Police Department, the high DWI arrest rate among men could be cultural. The NMDOT DWI Report also found that 20- to 29-year-olds accounted for a significant portion of DWI arrests, or about 38 percent. According to Daines, people in their early twenties may represent a lot of these arrests because they are often trying to be independent and social. Plus, there is a lot of alcohol in college. There is a newfound freedom acquired at that age. “Twenty-one is this big magic number where you can drink, and driving is a big rite of passage where you are now more responsible, and this all happens in the same time frame,” Daines said. The CDC report also shows that binge drinkers fall into the high-risk group of those most likely to drink and drive. In fact, 85 percent of all incidents were reported by those who also reported binge drinking, which the survey defined as five drinks in a short period of time for males or four drinks in a short period of time for females. According to a 2016 report released by CarInsuranceComparison.com, New Mexico is the eighth worst out of all fifty U.S. states for drunk driving. The report compiled data from the FBI, National Highway Traffic Safety Administration and Mothers Against Drunk Driving, among others, and ranked states based on DUI arrests, fatality rates, related state statutes and taxpayer subsidies per drunk driving fatality. According to NMDOT, DWI arrests have decreased every year from 2012 to 2015. The continual improvement was not enough for Gov. Susanna Martinez, who in December of 2015 submitted proposals for increased penalties for DWIs. “DWI is a serious problem that has a devastating impact on New Mexico’s families and communities. That is why we will continue fighting to enact tougher penalties for repeat offenders and those who enable them,” Martinez said. The governor’s proposals included increasing jail or prison time for certain repeat DWI offenders, expanding habitual offender laws to include felony DWI offenses and cracking down on those who recklessly give their keys to an offender with a suspended or revoked license due to DWI. Since 2016, according to NMLegis.gov, only one piece of legislation has been passed to increase DWI penalties. In addition to the legislative proposals, the National Highway Traffic Safety Association has funded multiple DWI projects such as the annual 100 Days and Nights summer campaign. The campaign encourages more police patrolling and runs media content which utilizes graphic cinematic techniques and special effects to highlight the horrific consequences of drunken driving, texting while driving and not wearing a seatbelt. The funding allowed for the implementation of a Doña Ana County program that focuses on responsible alcohol consumption and how to recognize addiction. It takes place at schools and community centers with the goal of preventing DWIs. According to Michael, people driving while intoxicated from house parties is a problem in the county and New Mexico State University has been contracted to determine the effectiveness of the county’s program due to special funding from the state. Las Cruces resident Lawrence Lane, a two-time DWI offender, believes New Mexico’s DWI laws are put in place so the state can make money. Since 2005, the City of Las Cruces has enforced a DWI Seizure Ordinance that allows for the “forfeiture of vehicles driven by a person whose license has been revoked for DWI or who is arrested for DWI and has one or more prior convictions,” according to New Mexico DWI Law.com. In the instance of forfeiture, the city will attempt to declare the vehicle a nuisance. In doing so, the city gains ownership of the title and will then sell it at auction. Doña Ana County, Santa Fe County, Torrance County, and the cities of Santa Fe and Albuquerque enforce similar laws. Repeat DWI offenders made up 27 percent of arrests in 2015. In New Mexico, there were 31.3 DWI convictions per 10,000 residents in 2015. San Juan, McKinley, Lea, Santa Fe and Eddy counties had DWI conviction rates higher than the statewide rate.